For the safety of the runners (and their fans! ), the race will now take place at NOON on Saturday (November 17). Details about the new start time/location are below - please plan to check-in at Bennett Academy Gym by 11am to allow for sufficient time to collect your race bib & sweatshirt and walk to the start. For the safety of the runners (and their fans! ), we are delaying the start time and start location of the Little Manchester Road Race to ensure a course that is free of snow and ice. The new start time is 12pm. The location is still Charter Oak Park, but we will move the race start/finish to the asphalt parking lot by the basketball courts. A map with the location of check-in at Bennett Academy as well as the the location of the race start/finish (and the walkway to use to get to the start) is shown below. This distance from the Bennett Academy to the start/finish via the walkway is about 1/2 mile. Because check-in will take place during peak hours for the Manchester Road Race expo, it is expected to be more crowded than usual - plus, the walk over to the start is a little longer. As such, we recommend picking up your kids' race bib and sweatshirt by 11am. There is no check-in at the start of the race -- just in the Cone Gym of Bennett Academy. The expo does open at 9am so you can come extra early and visit with the vendors. Fleet Feet will be hosting a "garage sale" and ECHN will be giving registered LMRR runners a free pair of mittens! Don't forget to bring your 2 can goods for the Manchester Food Bank - and if you see members of the Manchester Public Works Dept, please tell them THANK YOU for working to make sure we can host the race this year. More Race Day details are available here. Fleet Feet is proud to partner with the Manchester Road Race Committee, Henkel & Stop & Shop to host the 7th Annual Little Manchester Road Race - a miniature version of the famed Manchester Road Race just for kids on Saturday, November 17th at 10:00am. This non-competitive run is open to all kids aged 12 and under and features five separate races: 100m toddler dash (for kids 3 and under), 1/4 Mile, ½ Mile, 1 Mile and 2 Miles. All pre-registered kids will receive a sweatshirt, medal and post-race treats. 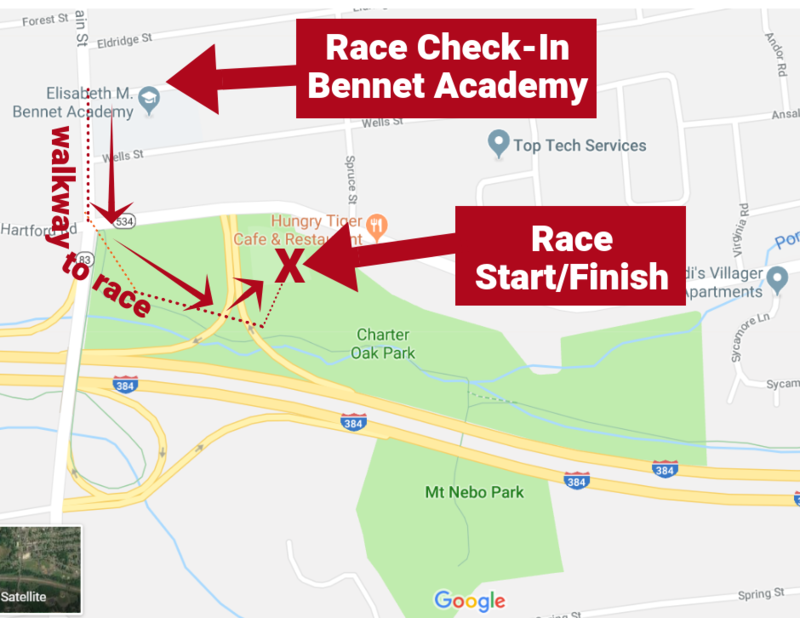 The races will start and finish at the Bennet Academy soccer fields in Manchester - just 1/4 mile away from the Manchester Road Race Expo which is also being held that morning. Parking at and around Bennett Academy and their fields are plentiful. Kids gets a sweatshirt, mittens, snacks, medal and a grin that will extend from ear-to-ear! All races are off-road and parents are welcome to run in every race except the 2 mile. There are sky divers who kick off the race, bag pipers on course and new this year, Monster Trucks! Details about the race (where to park, pick-up race swag, etc) will be emailed to the parents of all confirmed kids in early November. If your child(ren) are unable to race this year, please email Steph@fleetfeethartford.com so she may give that slot to a child on the Wait List.